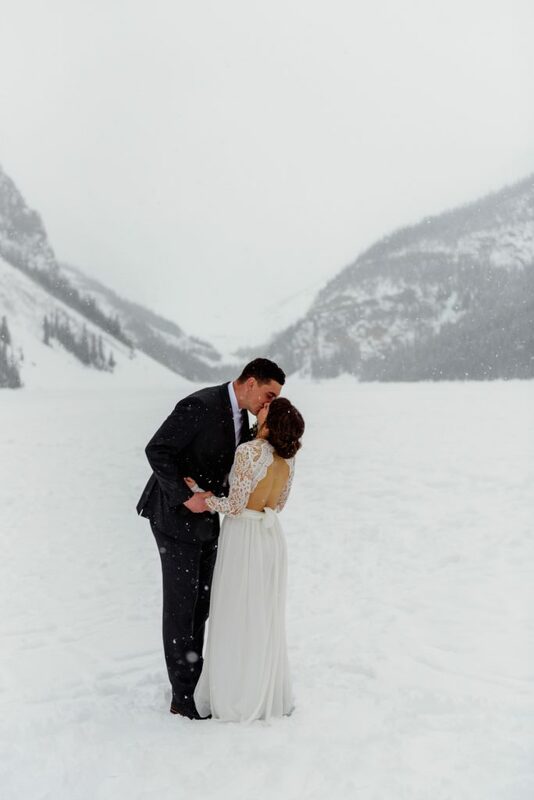 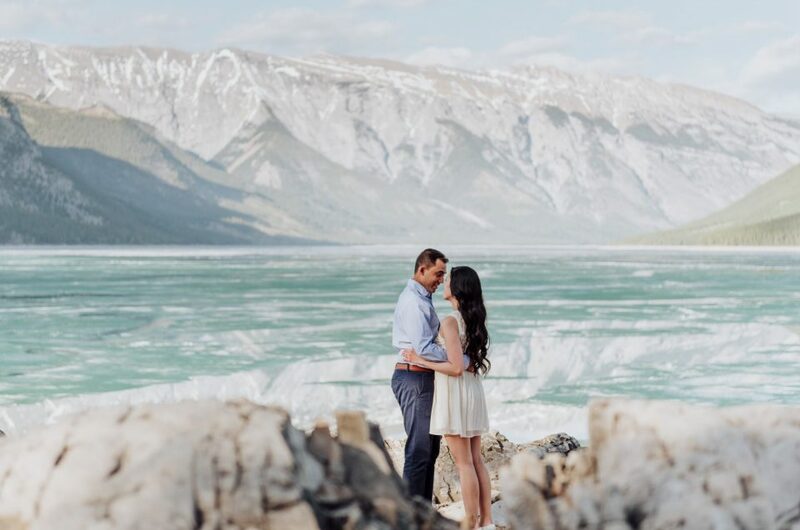 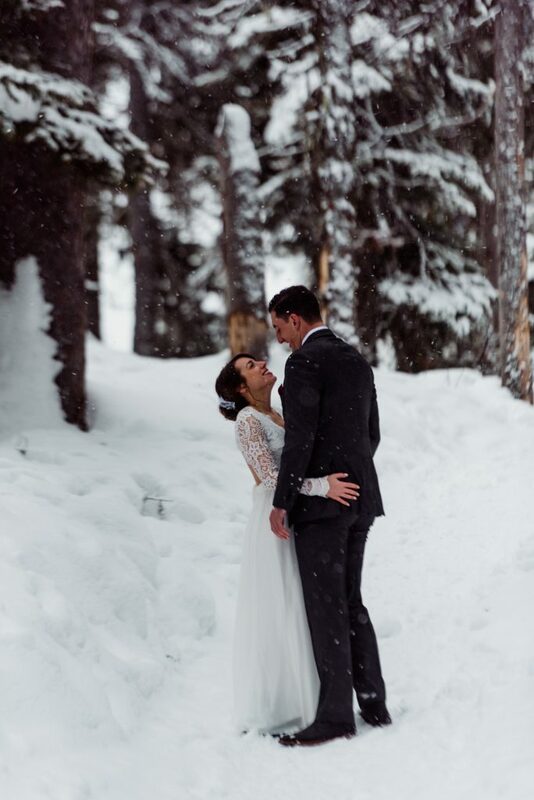 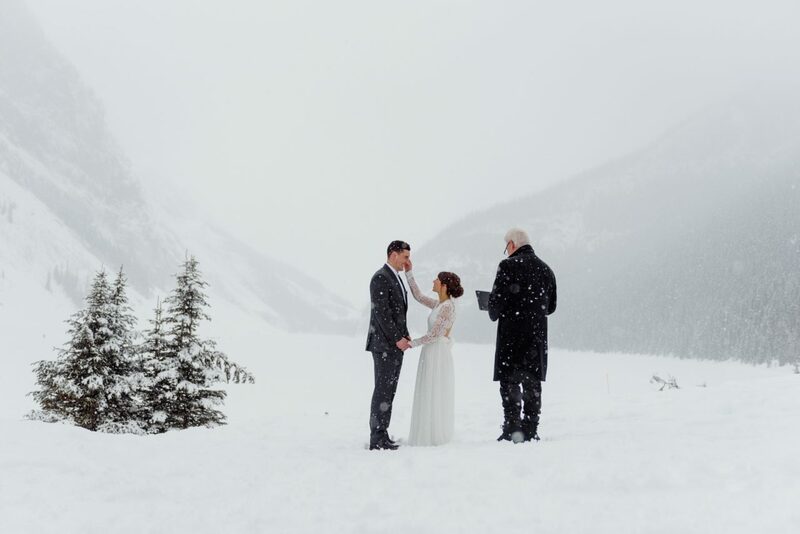 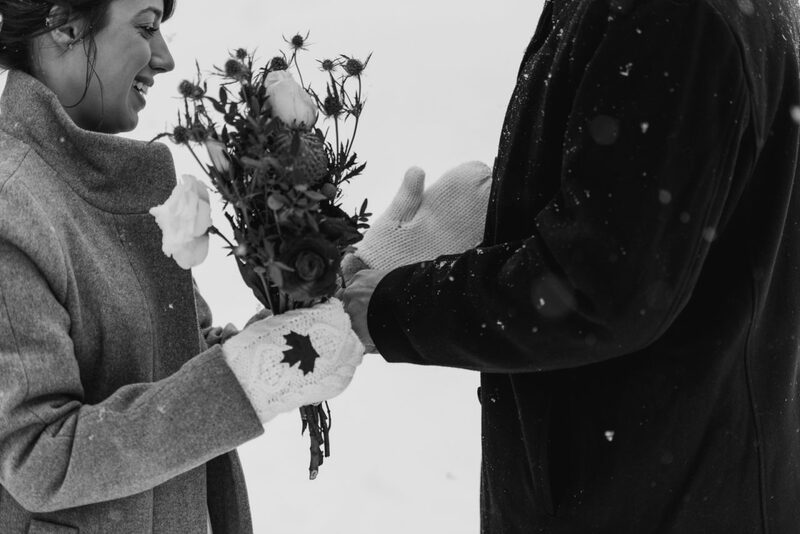 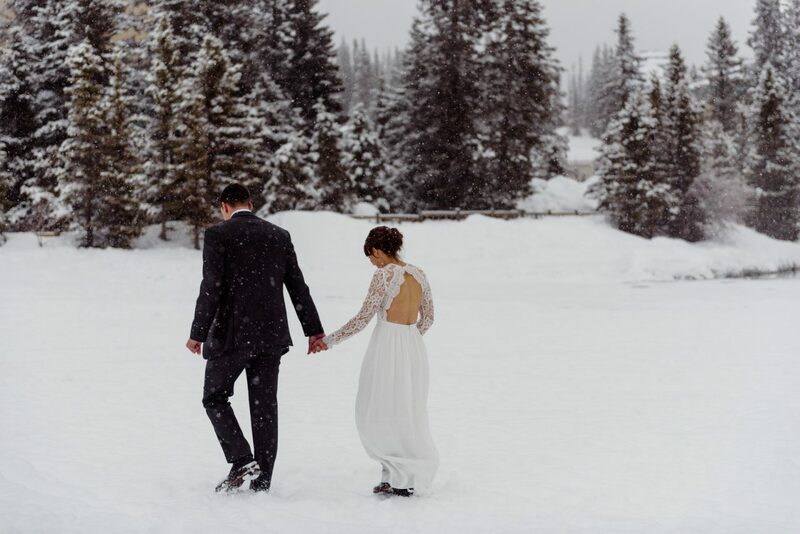 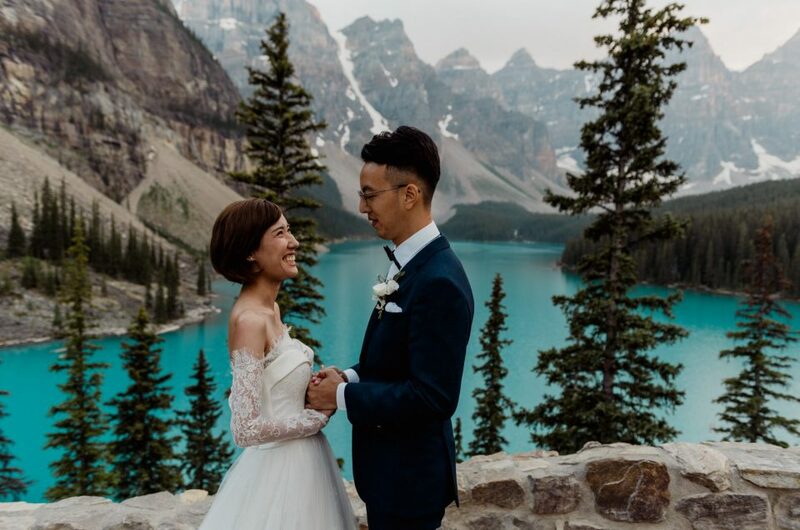 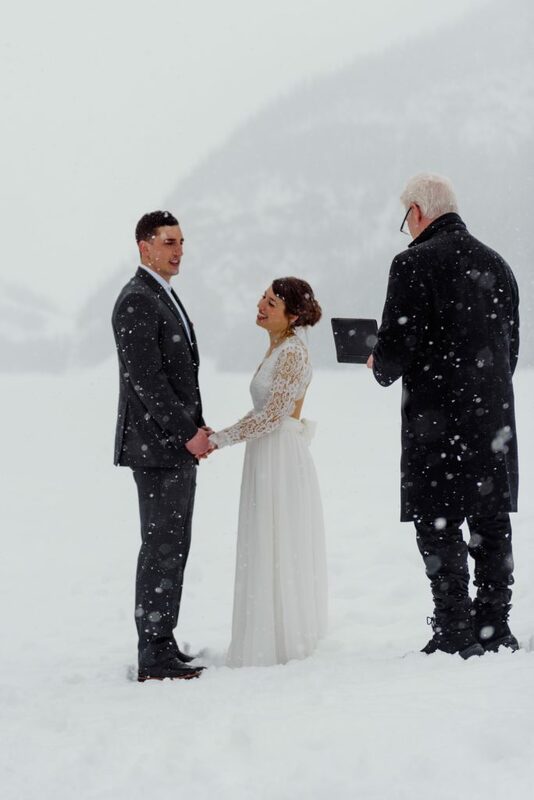 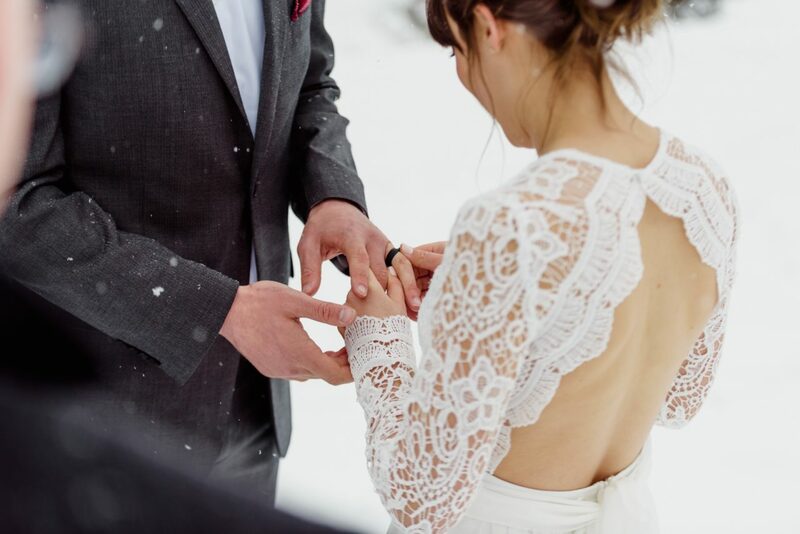 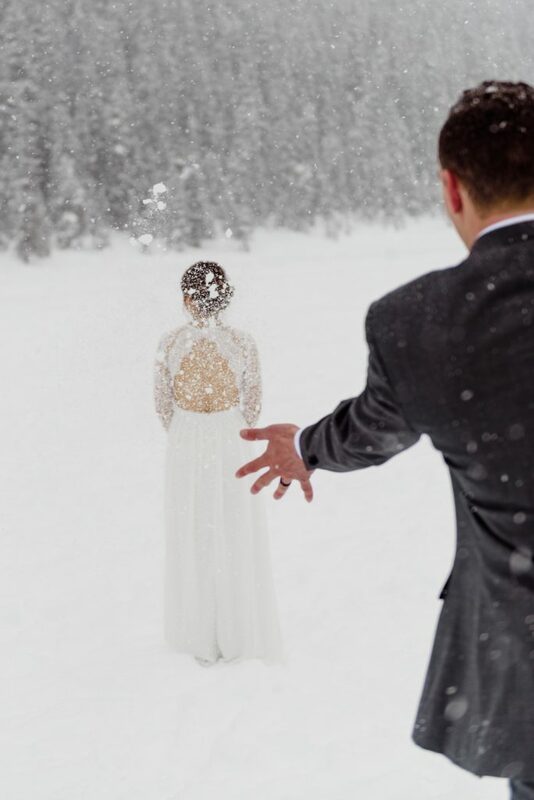 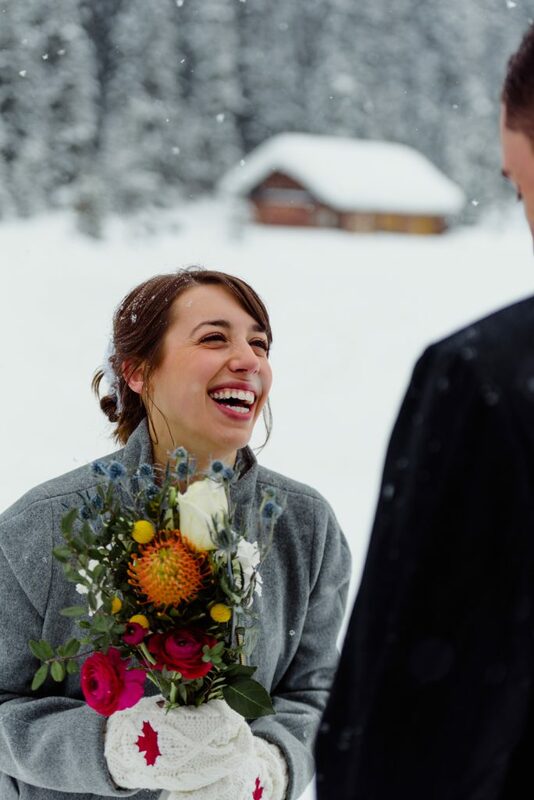 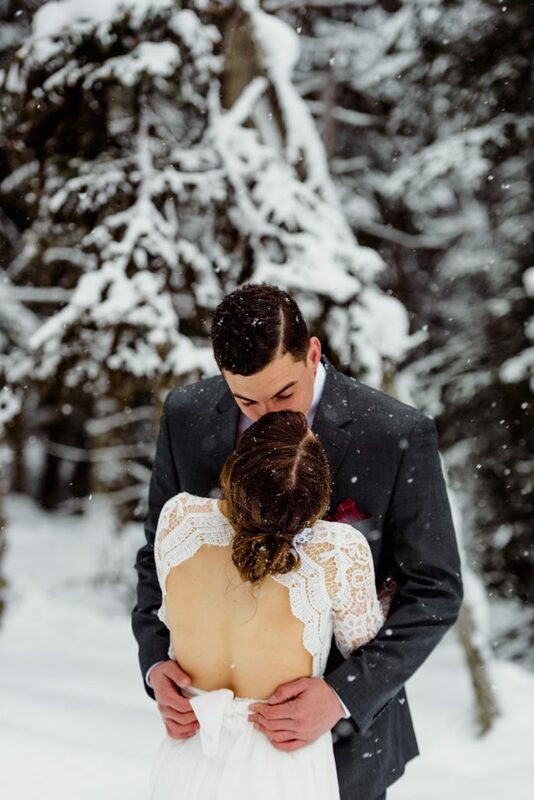 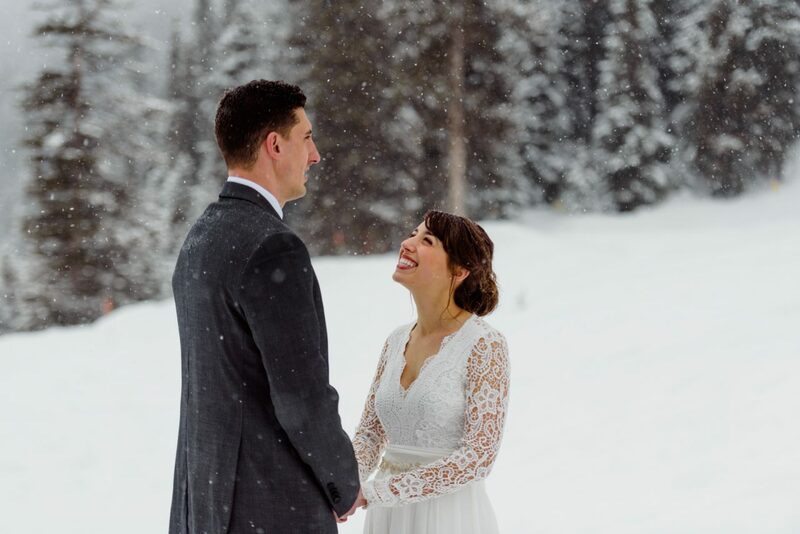 This Lake Louise elopement is every winter lover’s dream. 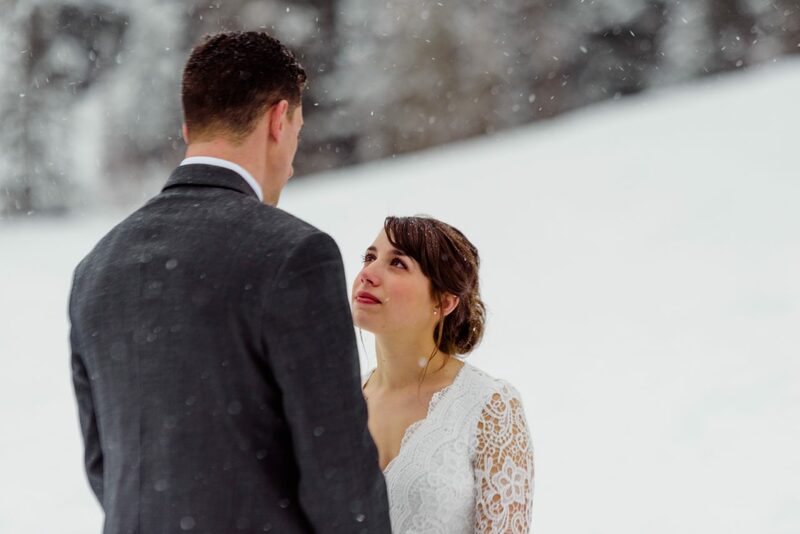 This day was not expected to be white out at all. 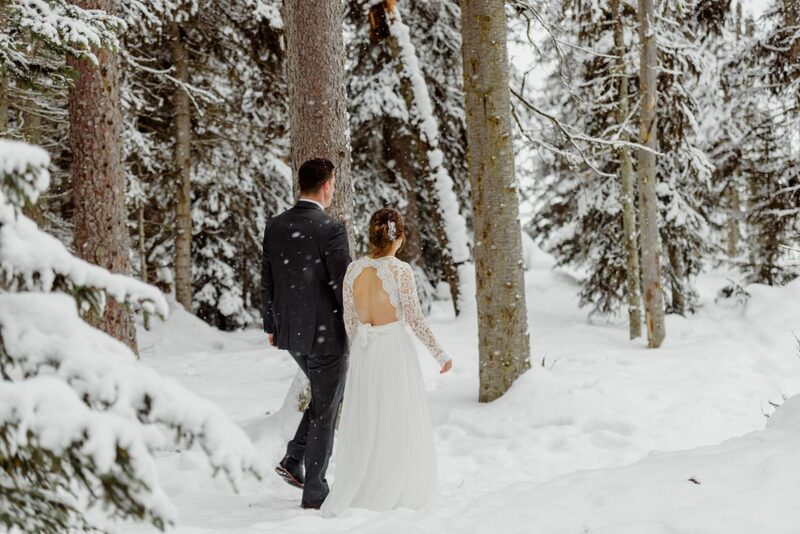 We had beautiful sunny almost spring like weather day before and the morning of started snowing like crazy, but thankfully it was not much cold. 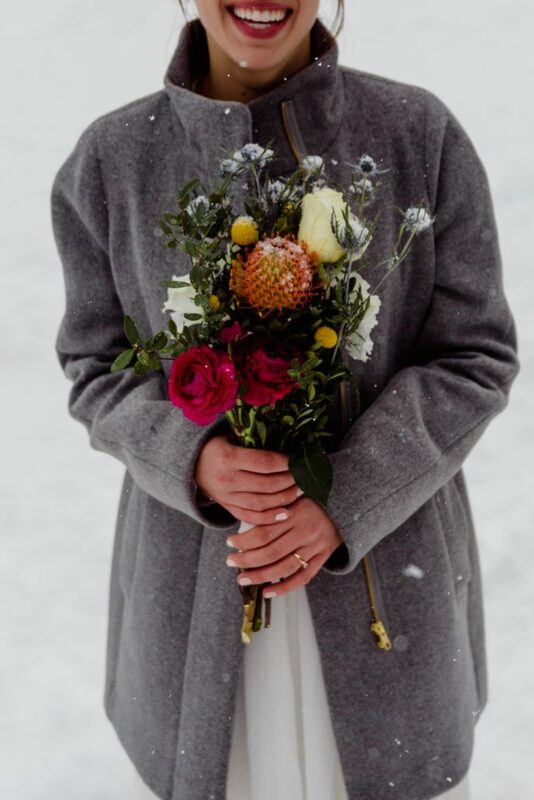 But let’s be honest, is not beautiful? 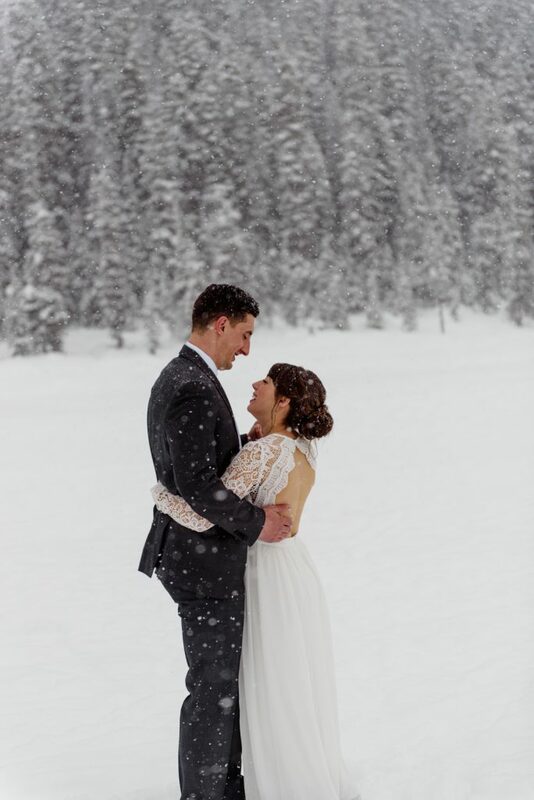 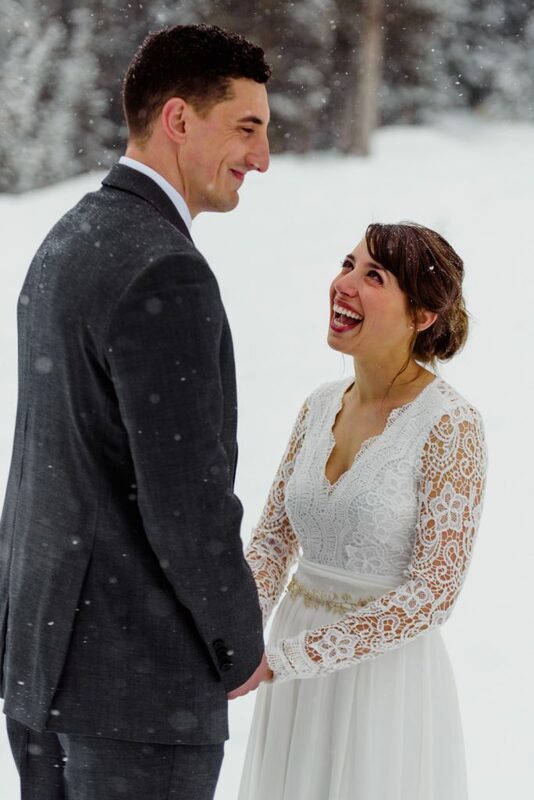 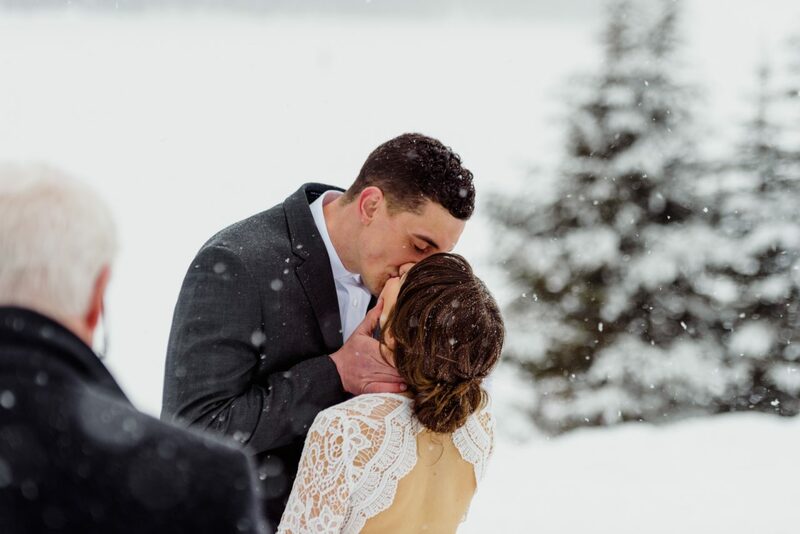 Big fluffy snowflakes made this elopement even more magical. 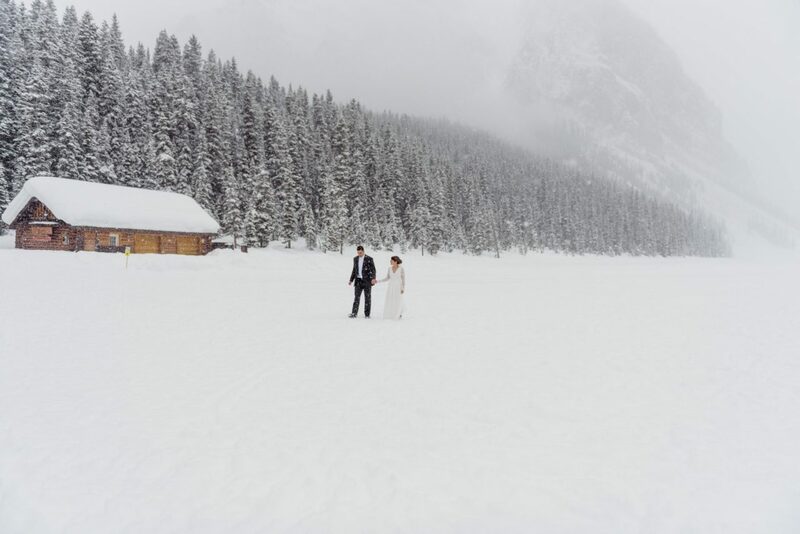 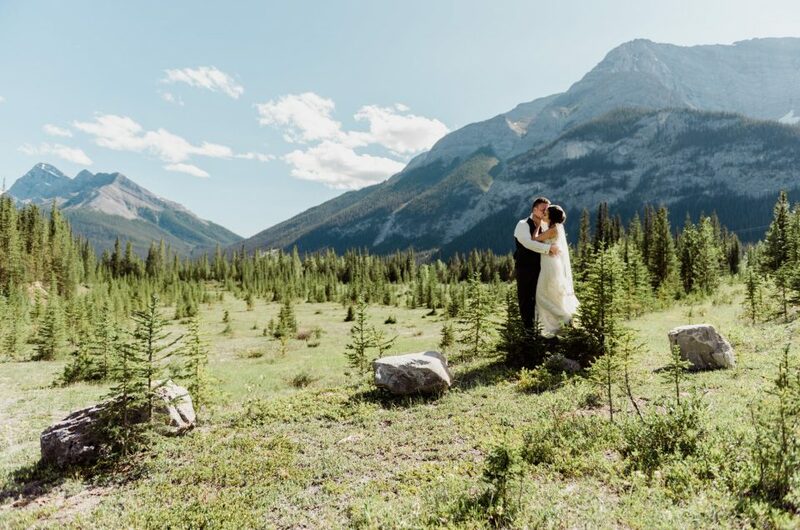 Maybe not so much for couple who travels from US to elope in setup with picturesque mountain background. 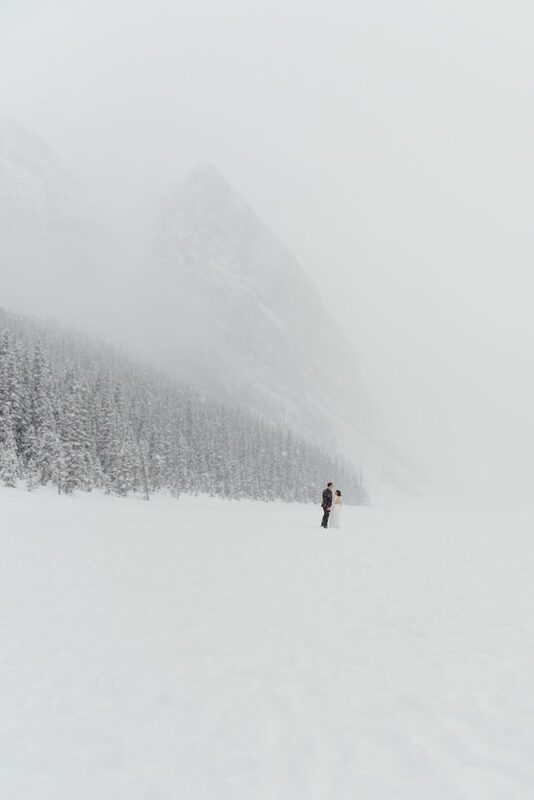 The mountains were barely visible and completely disappearing at some point. 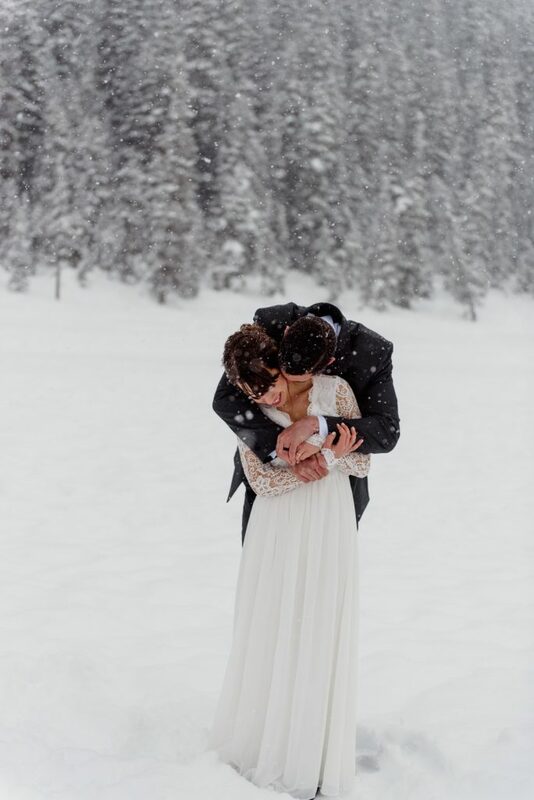 However the couple did not mind snow at all and braved the cold and snowstorm. 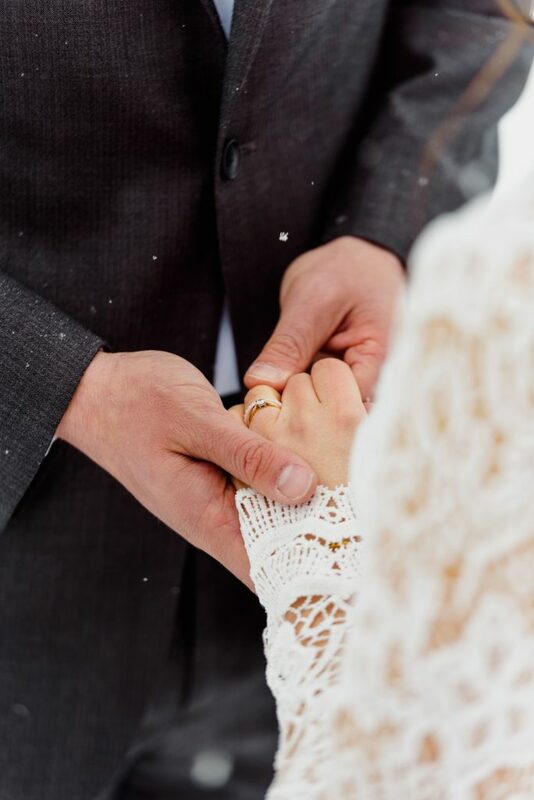 I love this detailed shot of ring exchange, it looks like snowflakes froze in time for this moment. 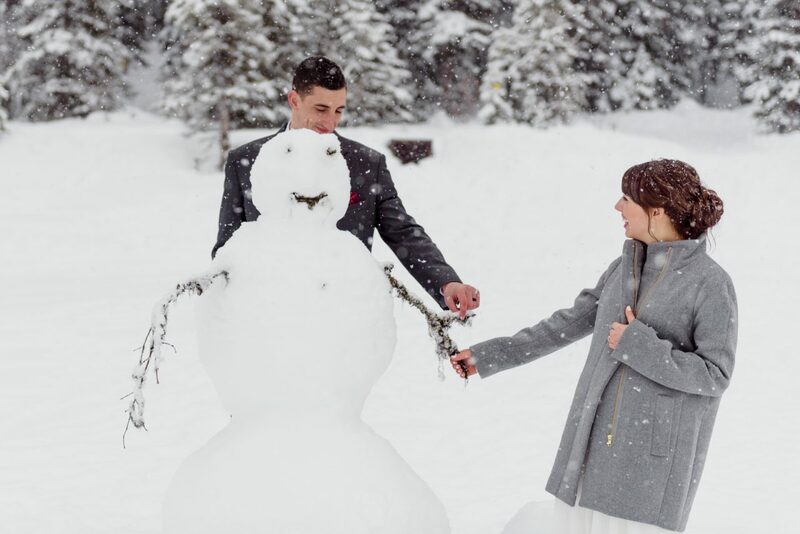 Then, they found the snowman.